Files with acff file extension can be found as special Volocity Library Clipping files. Some kind of metadata or library content from Volocity. What is acff file? How to open acff files? The acff extension is primarily related to a special metadata file generated by Volocity software. These acff files are library content that has been exported from one library for adding to another library. 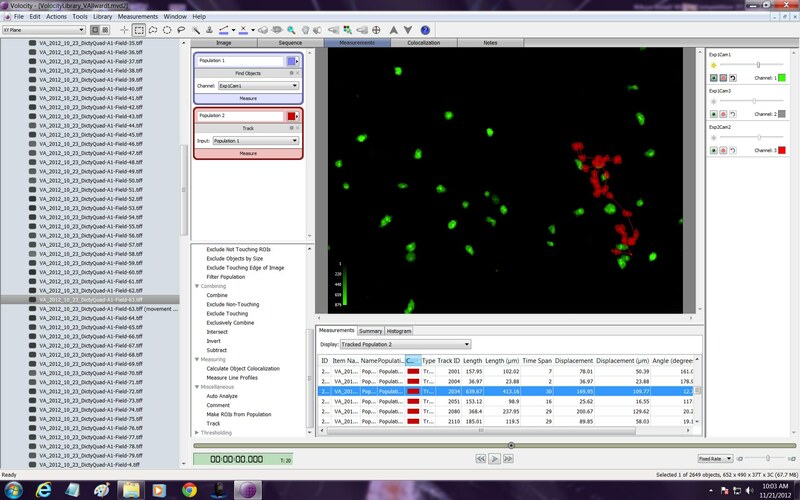 Volocity 3D Image Analysis Software is the only solution that provides all the tools you need to visualize, analyze and validate 3D fluorescence images from a wide range of confocal microscopy, widefield and high content screening systems and is fully integrated for a seamless user experience. Some programs that specialize in biology formats can typically import data from these files. and possible program actions that can be done with the file: like open acff file, edit acff file, convert acff file, view acff file, play acff file etc. (if exist software for corresponding action in File-Extensions.org's database). Click on the tab below to simply browse between the application actions, to quickly get a list of recommended software, which is able to perform the specified software action, such as opening, editing or converting acff files. Programs supporting the exension acff on the main platforms Windows, Mac, Linux or mobile. Click on the link to get more information about listed programs for import acff file action. Programs supporting the exension acff on the main platforms Windows, Mac, Linux or mobile. Click on the link to get more information about Volocity 3D Image Analysis Software for export acff file action.